Karen is the CEO of Sweet K and she is located near Boston and needed new headshots. These photos were for a media press pack. 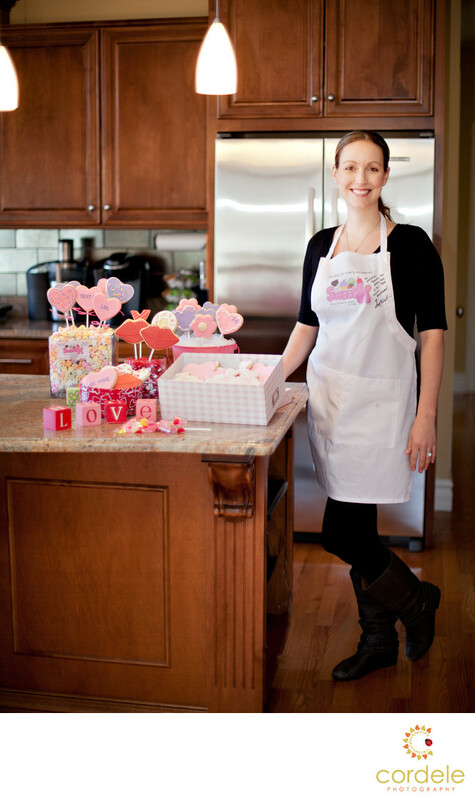 It was my pleasure to shoot the professional photos of Kristin from Sweet K Cookies out of Reading Massachusetts. I am not only her photographer, I am a true believer in her product. Her cookies are amazing! When she called and told me that WHDH was doing a story on her business, I was thrilled. She asked me to come down to her home and do professional headshot and product photographer for her. I was so excited. Her business is all about making connections and I love to shop local. It was a photography match! Its been such a great adventure to watch her grow and see her photos on the Boston Globe and on WHDH. Having been a part of adding to her business with corporate headshots has only made working with her that much sweeter. Product photography is definitely a niche that people need. Product photography is a type of specialty photography. Well I am not a true product photography it's something I try and help people out with. You need the right kinds of lights. Location: Summer Ave Reading Massachusetts.